Shropshire councils have been given more than £600,000 to spend over the next two years on reducing the risk of flooding. The money has been awarded by the government as part of a national fund for councils across the country to increase awareness of flooding. 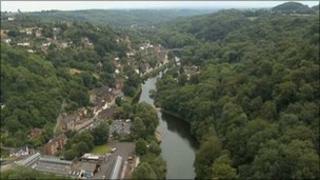 Emergency services recently carried out a flooding exercise at the Ironbridge Gorge. Parts of the county have been severely affected by flooding in recent years.